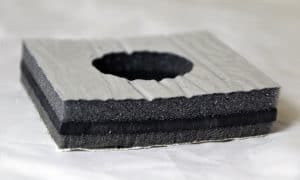 Elasto Proxy supplies many different types of industrial rubber products, but there are three things about bulb trim seals that engineers need to know. 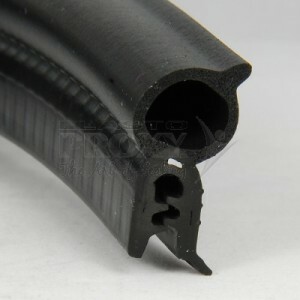 The sections of a bulb trim seal are made from different materials. For outdoor applications, resistance to wind, weather, ozone, sunlight, and a range of service temperatures is especially important. The bulb portion of the seal is usually made of EPDM sponge rubber or a thermoplastic elastomer (TPE). EPDM provides excellent resistance to weather, ozone, aging, water, and steam. This synthetic rubber also remains flexible at low temperatures and is color stable. TPEs are also weather-resistant, but are reusable and typically recyclable. They cost more, but are often available in custom colors and smaller lot sizes. 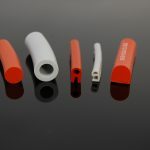 The retainer section of a bulb trim seal is usually made of PVC, a popular plastic that resists impact, abrasion, low temperatures, and kinking. Note that each section of the seal isn’t just made of a different material. Each material has a durometer or hardness that the engineer needs to specify. If the material is too hard, the seal is difficult to compress. If the material is too soft, compression set may occur. By working with Elasto Proxy, you can avoid these sealing problems. To determine the required bulb size, measure the distance between the door and the jam when the door is closed. Add between 25% and 50% to this measurement to account for compression. 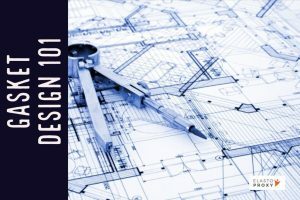 To determine the gap or edge thickness for the retainer, measure the distance between the two “legs” or straight sections. Choose a bulb trim seal where the gap equals the flange or substrate. To specify the minimum bend radius, don’t choose an angle that’s too great. Otherwise, kinking can cause valleys to form that allow the passage of water. Many industrial rubber products are also flat and smooth; however, bulb trim seals can come with coarse, pebbly, or ribbed finishes. The retainer section seal can include an internal clip made of aluminum or steel. This clip promotes permanent gripping under conditions such as the opening and closing of doors. 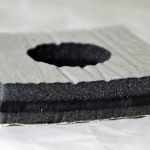 The retainer portion of the seal may support the use of a hot-melt adhesive for fastening, and may have an outer coating made of vinyl to impart a textured finish. 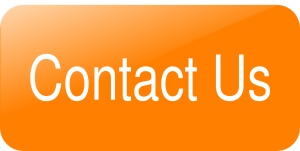 To talk to Elasto Proxy about bulb trim seals for your application, please contact us.